It is now unmistakable. The civil service system is under attack. The administration’s plan issued on June 21, 2018 essentially abolishes the Office of Personnel Management (OPM) and distributes its functions among various agencies. 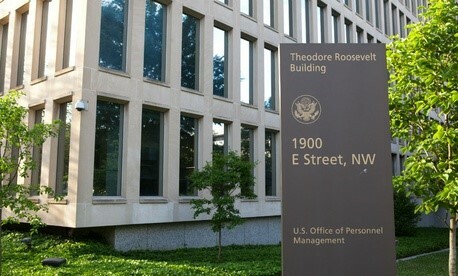 Most notably, the plan puts OPM’s human capital policy making function in the White House. Conventional wisdom indicates that the purpose of a civil service system is to protect government employees from partisan personnel actions. The argument against civil service systems begins with this premise and continues with the concern that in protecting government employees from partisan actions, the civil service system also protects employees from appropriate performance-based actions, making it difficult to fire poor performing employees. Unfortunately, this conventional wisdom includes a basic misunderstanding about the purpose of a civil service system. The purpose of the civil service system is to ensure efficient, effective and corruption-free service to citizens through work performed by skilled employees whose only loyalty is to the Constitution and to the citizens they serve. The current period is not the first time that the expectation of public employee loyalty to the Constitution has withstood a challenge. Most public administration texts note that President George Washington set the standards of fitness, honesty, efficiency and loyalty for his government employee selections and subsequent presidents used the same standards. However, the election of Andrew Jackson in 1828 changed that approach and began an unprecedented purge of government employees followed by the installation of individuals with one primary qualification, political support for the president. 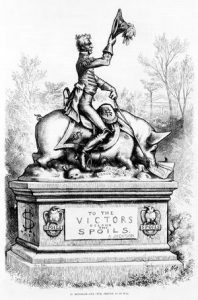 This became known as the spoils system, a system that continued until the passage of the Pendleton Act in 1883. By the 1860s, the corruption and incompetence of politically loyal civil servants became problematic. Citizens complained of poor service; the growing small business sector could not afford the bribes required by many public officials; and partisans from both parties called for reform. The unregulated industrialism of the Gilded Age together with the rise of the union movement created an environment where efficient, effective, and corruption free government intervention was necessary. In short, the initiation of the civil service system was about good governance. Protecting the public employee with civil service rules was a means to an end — not the end in itself. If the purpose of the civil service is to ensure an efficient, effective and corruption-free government, the next question is “How does the current administration’s proposed reorganization affect that purpose?” The reorganization components fall into three types: security clearance investigations, service functions and human capital policy. Security clearance investigations are already scheduled to move to the Defense Department as part of the 2018 National Defense Authorization Act to reduce backlogs. Still, changing work location alone does not necessarily solve the problem as highlighted by the fact that Defense backlogs was the reason clearances were consolidated in OPM in 2004. Services such as retirement claims processing and administration of the Federal Employees Health Benefits Program would be transferred to the General Services Administration (GSA) renamed as the Government Services Agency. This is problematic. First, GSA has no experience in claims processing or benefits administration and is essentially a contracting operation. Second, while these OPM programs have had operational difficulties, the difficulties relate to efficiency issues such as timeliness. GSA’s operational problems have been corruption related, e.g., inappropriate sole source contracts, contractor kickbacks, partisan influence. The most problematic component is transferring human capital policy to the White House. Such a transfer defies Woodrow Wilson’s politics-administration dichotomy because it places administrative decision making in the political sphere subject to political pressure and punishment. We have already seen attempts at punishment through the administrative process by the current administration. For example, the President has continually pressured the Attorney General to reopen a closed investigation on the president’s 2016 election opponent. In May the President pushed the Postal Service to double postage rates on Amazon because of unhappiness with his press coverage by the Washington Post which has the same owner as Amazon. More recently, the President suggested breaking precedent by revoking security clearances of former national security personnel who have criticized him. 3 Responses to To the Victor Belong the Spoils? The 1883 Pendleton Act began with the premise that civil servants need to have the skills to do the jobs they were hired for. Having skill capacity is necessary to have an efficient and effective government. While the exact terms of efficiency and effectiveness may not have been used until the public administration literature of the 1930s, efficiency and effectiveness have always been underpinnings of the concept of a civil service system since the passage of the Pendleton Act. Merit based hiring which involves a system to determine qualifications and an attempt to surface the best qualified person to be hired is an important way to avoid corruption. Because, unlike the private sector, citizens expect both access and transparency in merit based hiring, Access and transparency take time. Keeping corruption and political concerns out of firing requires an appellate process. This again takes transparency and time. While the civil service system can and should be retooled to deal with current management practices and technology, there will always be a tension between values, i.e., efficiency and effectiveness versus access, transparency and fairness. I think everyone would agree with the importance of a civil service system that contributes to “an efficient, effective and corruption-free government.” I will others comment on how to make it corruption-free. However, as a long time observer and occasional consultant to federal agencies, it strikes me that OPM and the old Civil Service Commission were not created or managed to improve efficiency or effectiveness. Those are goals only recently reflected in the best HR practices. That will require a difficult shift from maintenance to what ideally is an approach to management that supports ongoing change. Few public employers now have experience managing change.